All arrangements have been concluded for a One-Day Symposium to commemorate late Dr. Yusufu Bala Usman. The august event with the theme: RESTRUCTURING NIGERIA, BETWEEN TRUTHS AND MYTHS: A PERSPECTIVE OF DR. YUSUFU BALA USMAN will kick start at exactly 10:00AM on the 24th of September, 2018 at the conference hall of Makera Motel, Katsina. 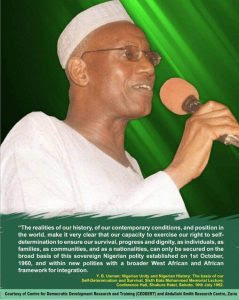 MUryar Talaka Awareness Initiative, Katsina state chapter, a non-governmental and non-profit-making organization has decided to organize this occasion with a view to reaffirming the legacies of Dr. Yusufu Bala Usman which include among others, quest for knowledge and truth as well as the defense for the cause of the common man. Nigerian citizens, especially, the youth can learn the virtues of doggedness, humility, sincerity, truthfulness, honesty and patrotism which constituted the qualities of the late reputable international scholar. Moreover, scholarly works of him, provide our leaders and policy-makers with materials they need in the task of governing our country. This year's memorial lecture comes exactly 13 years after the demise of the iconic scholar, and it will in its attendance, the executive governor of Katsina state, Rt. Hon. Aminu Bello Masari as special guest of honor, while Professor Aliyu A. Jibia of the Federal University, Gusau will chair the occasion. 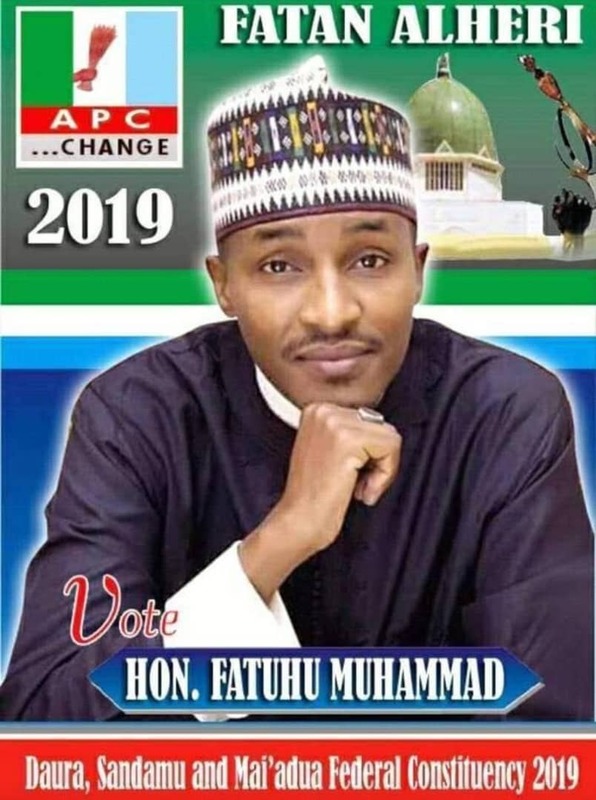 Other speakers include Dr. Aliyu Muhammad Muri of Alqalam University, Katsina and Dr. Musa Ahmed Jibril of History department, Umaru Musa Yar'adua University, Katsina.